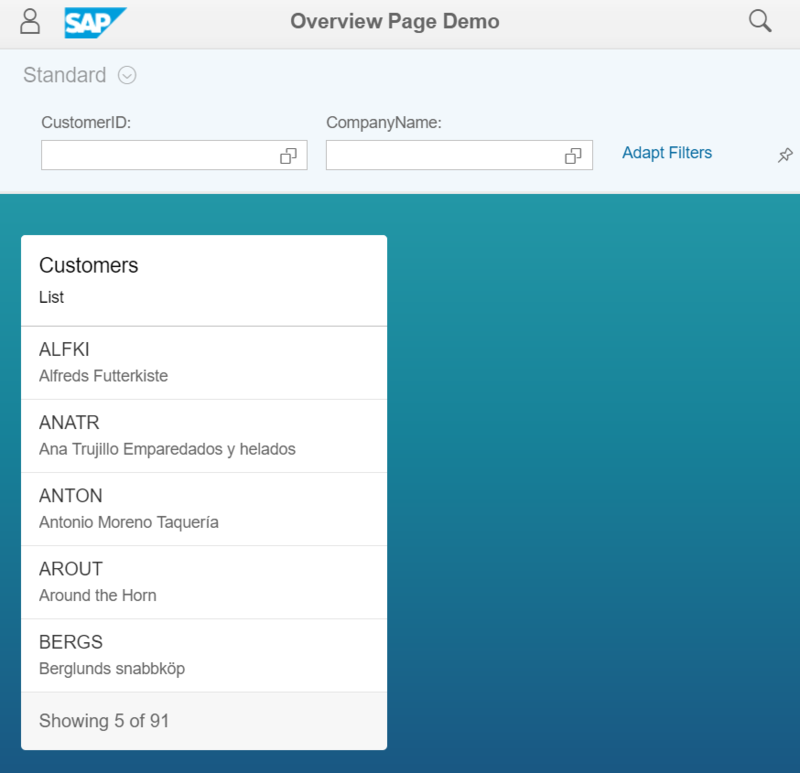 SAP Fiori Overview Pages introduced a new concept to the user interaction, all the detailed information that the user needs in a single page with the ability to filter and navigate to different applications, and the most important, information displayed in the way that the user wants. But what if we want to implement our own custom card? For example, include a map, an integration with a 3rd party component or even a different UI5 control, is it possible to achieve that? 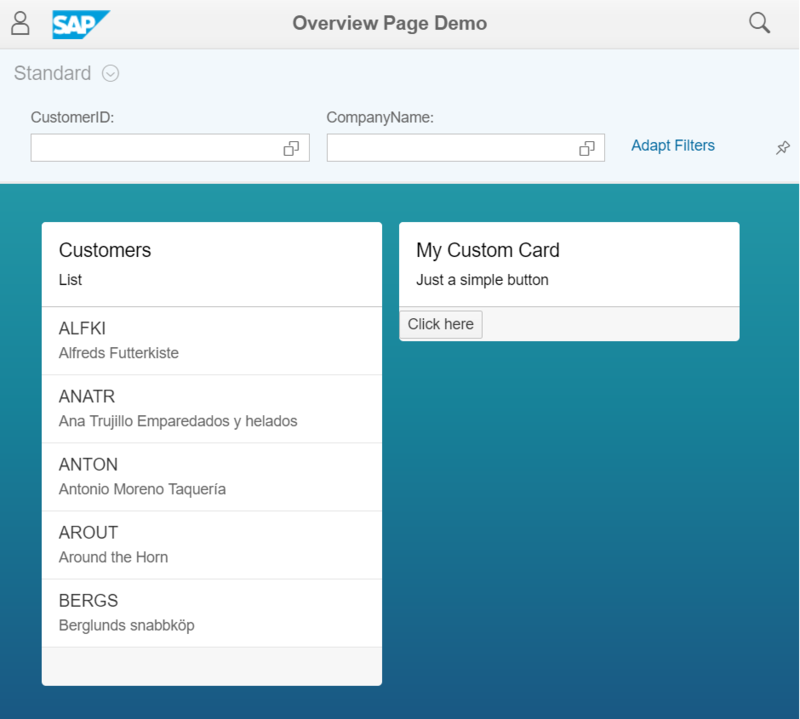 If you already have experience with Overview Pages & Cards you can jump directly to the section 2, if you never had any contact with this Fiori Element I advise you to read all the article. Let’s start our exercise creating a new List card. 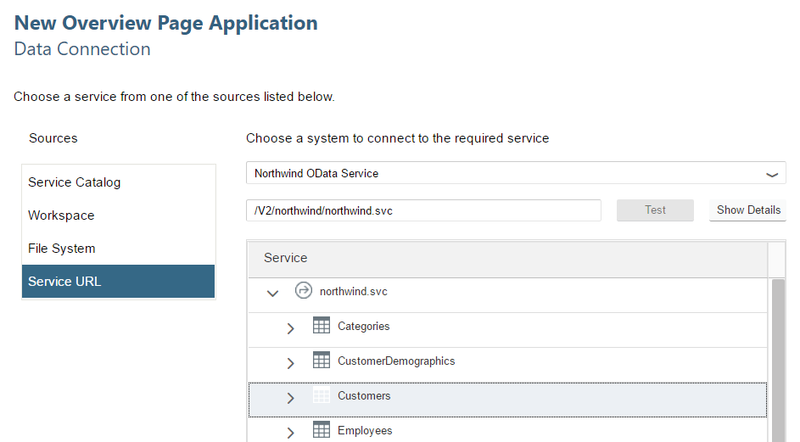 In this example I will use the Northwind OData Service to connect the data with our application. 1. 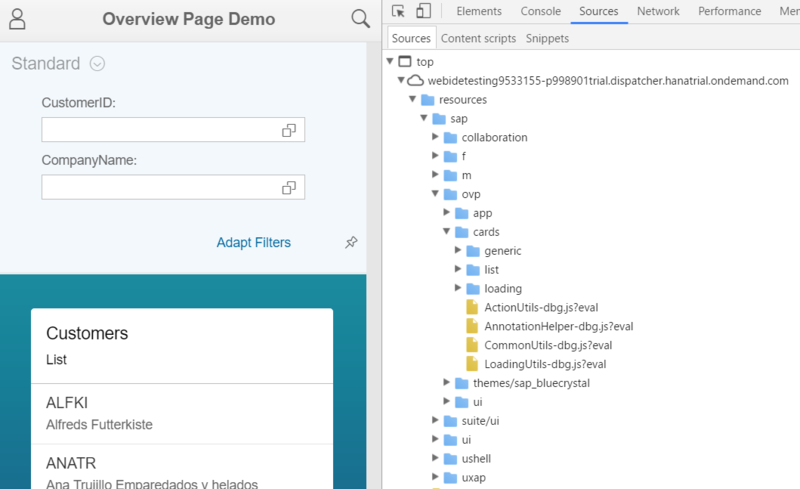 Create a new project from template and select the Overview Page Application. 2. 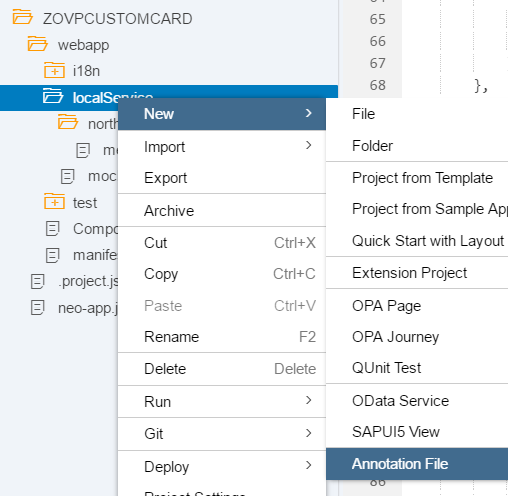 Set the name as ZOVPCUSTOMCARD. 4. Leave the annotation selection in blank for now, we’ll generate the annotation in a different step. In the end, provide the information about the Template Customization and click Finish. 6. Right click in the project folder, select New -> Card. 7. Define northwind as the Datasource. 8. Select the List card option. 9. Fill the information in the General section and leave the sections Annotations and Card Properties in blank (no need for this exercise). Attention: We need to adjust manually the name of the globalFilterEntityType, the wizard uses the EntitySet instead the EntityType, so just remember to change the name from Customers to Customer(without the S in the end). 11. The last step is to create an Annotation file and set the values for the Global Filter and the List. To achieve that click with the right button in the localService folder and select New -> Annotation File. 13. 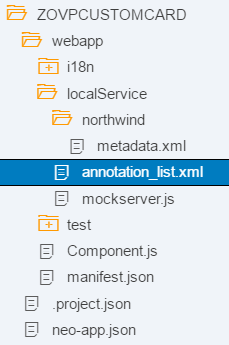 Edit the annotation_list.xml, first of all we need to annotate the Customers entity set. To define the fields available in the Global filter we need to populate the UI.SelectionFields annotation and for the fields in the list we need to populate the UI.LineItem annotation. Check the example in the XML file below, the fields CustomerID and CompanyName were configured in the filter and in the list. Let’s start activating the debug mode in our application. 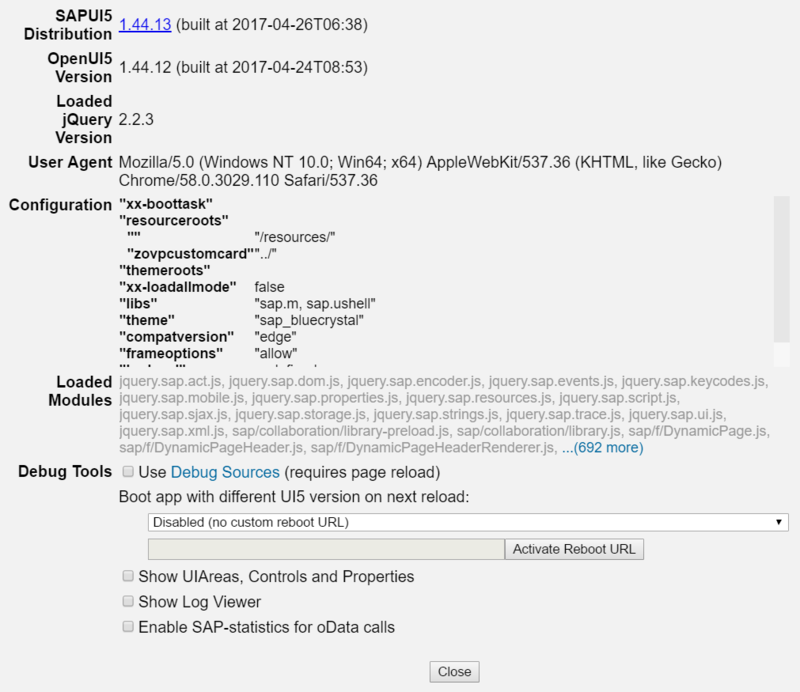 In the UI5 application screen click CTRL + ALT + SHIFT + P, this command opens the Technical Information pop-up and allows the use of the Debug Source. Select only the OVP module, close the pop-up and refresh your browser. After the browser refresh, open the Chrome Inspector and select Sources in the top menu. Notice that only the folders related with the cards used in our application were loaded by the framework. The list folder is available because we used as template for our card. The loading folder contains the Busy Indicator logic during the load of the data. The generic folder is the generic template used by all the OVP cards. 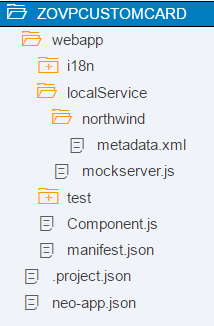 The properties available in the metadata are the same configured inside the manifest.json. The List Component executes a controller extension of the Generic Component using a new node inside the metadata called customizing. 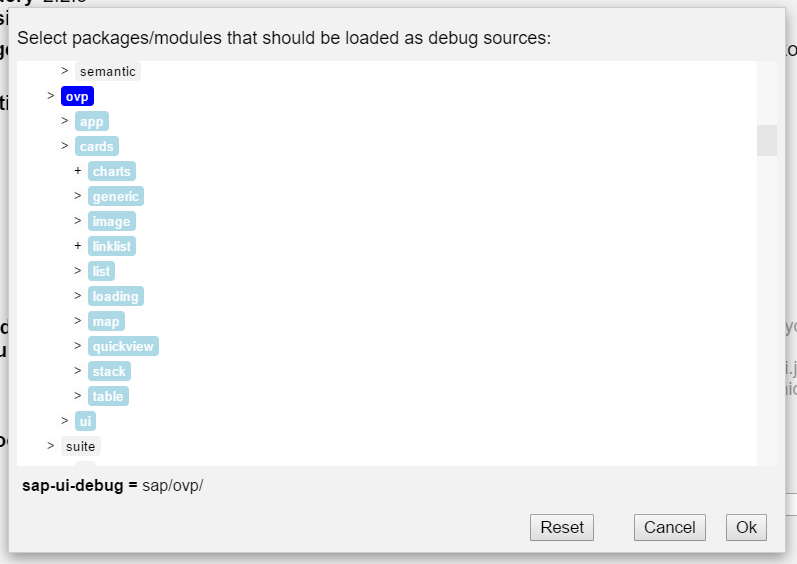 The List Component provides a Fragment XML with the UI5 controls through properties -> contentFragment. With these concepts in mind we discover that is possible to create a fragment and control the business logic through a controller extension. Let’s put this idea in practice and see how can we generate our custom card. 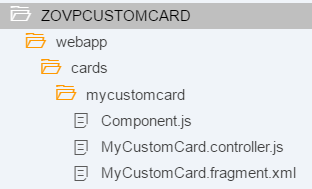 For this exercise we’re going to create a Button and an event to display a simple message in the controller extension, let’s start creating a new folder cards in the root of the application and inside this folder a new one called mycustomcard. Last step, in the manifest.json, copy the configuration of the List card and adapt the properties to point to the new custom card. 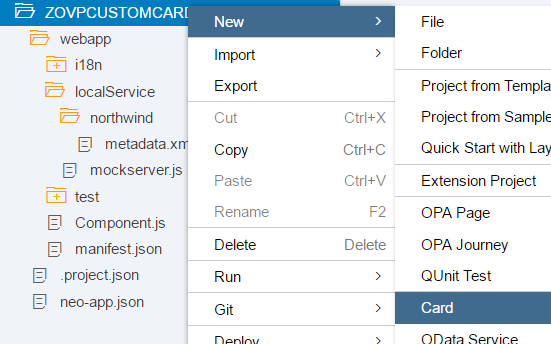 Execute the application, two cards are displayed now (List and Custom).